ePath offers customized corporate eCommerce training programs – on location – designed to equip your eBusiness team with the knowledge and skills they need to generate industry leading online performance. Based on the ground-breaking e-Business/ e-Commerce program developed in partnership with the University of Toronto, ePath’s customized training programs combine in-depth coverage of the leading online concepts and strategies with hands-on experience with the most powerful eBusiness tools and techniques. Our training programs are highly interactive, incorporating real-life case studies, hands-on exercises and dynamic classroom discussion. ePath provides workshops, seminars, and webinars that are customized for your organization. 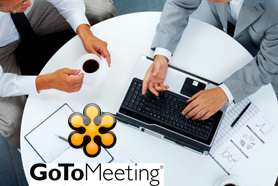 Group sizes can be large or small and session length can range from an hour (webinars) to multiple days (on location). Content can be tuned to address the topics most important to your business and your industry. We work with you to determine your specific training and education needs, and provide you with affordable training solutions designed for your requirements. Contact us to explore how a customized training program can enhance your team’s ability to excel in the challenging world of eBusiness. ePath’s knowledge of both the strategic and operational aspects of eCommerce was instrumental in helping us tune our online strategy.